You don’t see many 1970s BMW R-series customs in the USA. 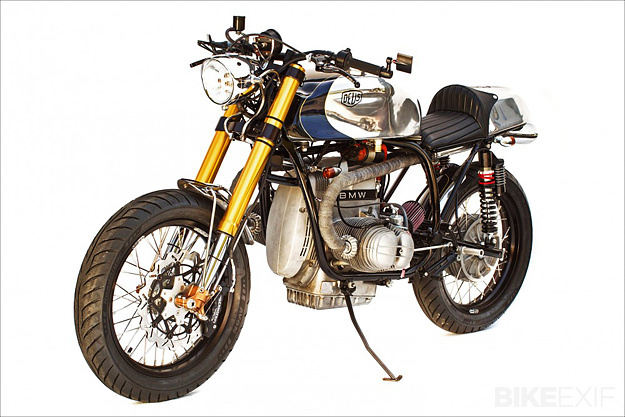 But this very sharp R100S cafe racer should prompt a few searches for old airheads on eBay. 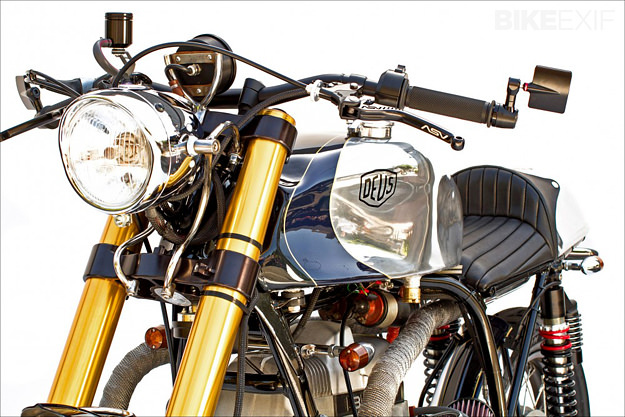 It’s set for launch at The One Motorcycle Show in Austin this weekend, and was built by Michael Woolaway, motorcycle design director at Deus USA. 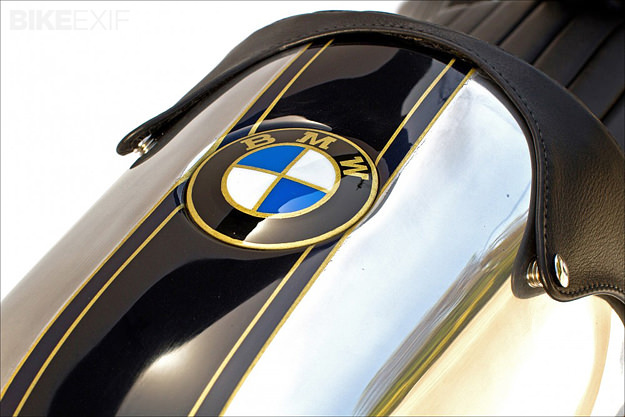 The R100S was one of BMW’s more sporting bikes, with a quarter-mile time of just under 13 seconds. 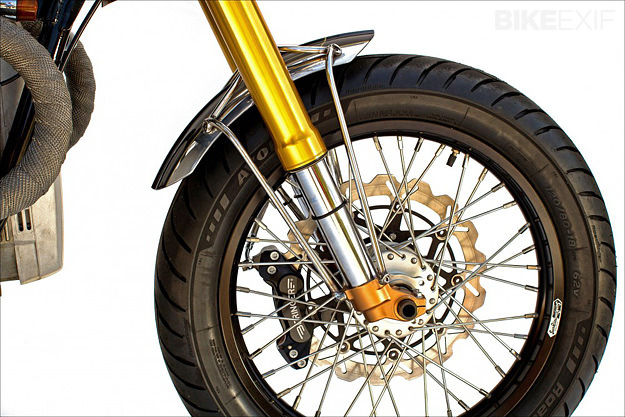 The ‘S’ designation meant you also got a small fairing, twin discs at the front, lower bars and a racier seat. But it was still a long-haul bike built for the autobahn. It’s a ground-up rebuild, starting with the frame. Woolie removed the brackets and the sub-frame and its mounts, and then fabricated a new chromoly sub-frame. More fabrication quickly followed: the tank, seat, fenders, foot controls and rear sets are all made by hand. Up front, Öhlins forks have been shortened and re-valved by Ed Sorbo at Lindemann Engineering. Pierre Vallaincourt at Works Performance engineered the rear suspension. 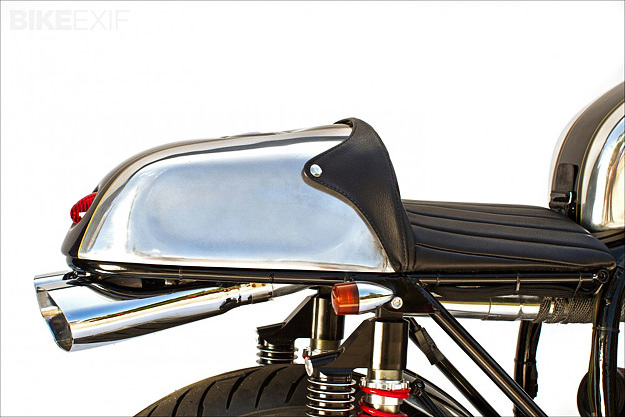 The battery is now hidden under the seat, protected by a heat shield rated to 1200 degrees. And the mirrors, handlebars and bar mounts are all top-shelf components from Rizoma. 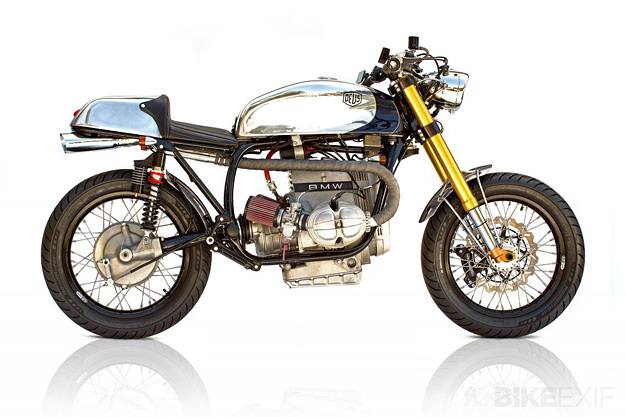 If you can’t make it to The One Motorcycle Show, head over to the Deus USA website to examine the BMW in more detail.